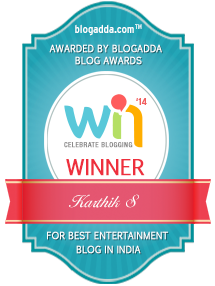 Padde Huli (Music review), Kannada – Ajaneesh Loknath by Milliblog! Nan Tumba Hosaba Bossu is a standard-issue hero-worship song that promises that the lead man mixes ‘mass-u’ and ‘class-u’. It eventually moves to idol worshipping Vishnuvardhan, though! Ajaneesh’s music is racy, but the whole package is utterly predictable. Choor Choor, sung by Ajaneesh himself, is no different. A manic kuthu that checks all the necessary kuthu necessities. Ondu Mathali is Sanjith Hegde’s show! The tune is breezy and aptly pop’ish and the singer carries it in his inimitable style. 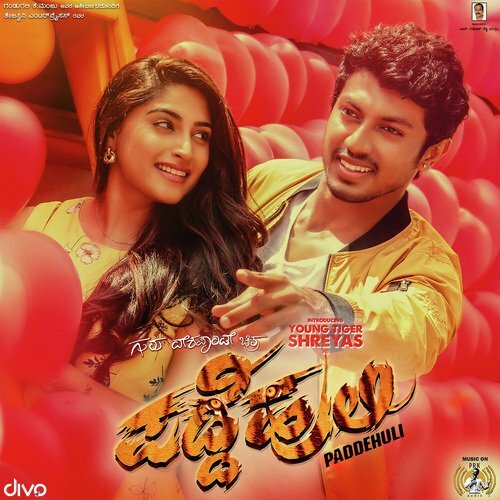 Ji Ji Ji is the one song that seems to be used thematically from the original film the Kannada film is inspired from – Meesaya Murukku and Seth Ji (changed to Great Ji, eventually). The Kannada version is a faux-qawali mix that barely works. The title song is all swag, thanks to Chandan Shetty’s pulsating rap. But where the soundtrack truly soars and makes a phenomenal difference is the way Ajaneesh recreates Kannada Bhavageethegalu (folk music) into powerhouse, new-age versions! Kannada poet G.P.Rajarathnam‘s Yenda Yedathi Kannada Padgol is already widely known in the Bhavageethegalu circles, but Ajaneesh spikes the music and tune brilliantly to make it appeal instantly to a new generation of listeners. Narayan Sharma puts his life into the rock version of the familiar folk song and aces the new rendition! Most possibly set to Charukesi raaga, DV Gundappa‘s iconic Baduku Jataka Bandi too gets a beautiful new variant. The recreation looks at the song completely differently from the familiar, austere rendition by Mysore Ananthaswamy and is sung incredibly energetically by Siddharth Mahadevan. The chorus in this song, in particular, was astounding. K.S.Narasimhaswamy‘s Ninna Premada Pariya is popular thanks to C.Ashwath’s memorable Pilu-raaga based creation in the film Mysore Mallige (sung by S.P.Balasubrahmanyam for the film), and by C.Ashwath in his Bhavageethegalu compilations. Ajaneesh treads new ground yet again by reimagining the verse in what sounded to me like Nandanamakriya raaga. The choice works wonderfully since the new mix is powerful, with exotic Middle Eastern background humming. In Kalabeda Kolabeda, Basavanna’s vachana gets a mindbogglingly fresh and modern adaptation, while also retaining the soul. The package is a brilliant way to introduce the vachana to a younger audience who may start singing this without even realizing the iconic lyrics that they are memorizing in the process! Ajaneesh’s work in the rhythm is particularly note-worthy, while Narayan Sharma’s voice booms beautifully all through, with a lot of feeling! Heli Hogu Kaarana’s verse, by B.R.Lakshman Rao is well known Kannada Bhavageethe circles given C.Ashwath’s searing version. This one too gets a significantly spruced up, Latino-infused new version that is a superb effort by Ajaneesh in bringing classic Kannada music to the younger audiences in a way they can adopt and appreciate this music. Siddharth Mahadevan’s fantastic singing and the tune’s raaga (most probably Subhapantuvarali Raaga) add to the song’s charm. More than the modern songs in the soundtrack, it’s in these 5 recreations that Ajaneesh stands out confidently, introducing iconic and familiar Kannada folk music to a younger audience like never before. I have added the original, familiar renditions of the folk songs above, not for comparison, but to showcase the progress made to make them appeal to a new generation. Both versions have their appeal and respective place.